Best known for his work with a band that bridged the gap between R&B and garage rock, Ray Stinnett was also an unsung hero of the Memphis music scene whose most personal music would wait over 40 years to find an audience. Stinnett was born in Memphis, Tennessee in 1944, and like so many kids growing up in Memphis, he developed a love for music early on, getting his first guitar when he was 12 years old. Stinnett claims he bought the instrument at the same pawn shop where Elvis Presley was said to have gotten his first guitar, and as Stinnett was walking home, he spotted Presley driving by in a Cadillac, who called out to the youngster, "Hey, cat." Suitably encouraged, Stinnett set about learning the guitar, and by his mid-teens, he was playing around town in a duo act with drummer Jerry Patterson, as well as working with a teen rock band called Johnny and the Electros and doing occasional session work. In mid-1963, a Texas-based group called the Nightriders, led by keyboard man Domingo "Sam" Samudio, were booked into a standing gig at a Memphis nightspot called the Diplomat Club when their guitar player and drummer both quit; Stinnett and Patterson signed on to replace them, and when the Nightriders' engagement ended, the Memphis boys hit the road with the band. A few months later, the Nightriders changed their name to Sam the Sham and the Pharaohs, and after they cut a single for a small Memphis label, MGM Records picked up the disc for national distribution. "Wooly Bully" became the top-selling single of 1965, spending 14 weeks in Billboard's Top 40, and a pair of minor hits followed ("Ju Ju Hand" and "Ring Dang Do"), but Stinnett's tenure with the group was short-lived; within a year of "Wooly Bully" hitting the charts, the Pharaohs had a falling out with Samudio over business matters, and they found themselves replaced with a new set of Pharaohs, who scored a hit of their own with "Li'l Red Riding Hood." Stinnett, Patterson, and their fellow ex-Pharaohs cut a single for Dot Records as the Violations, "The Hanging" b/w "You Sure Have Changed," which dealt metaphorically with their anger and disappointment, but the record went nowhere commercially and the group split up. 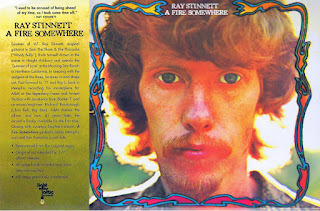 In 1967, as Americans became aware of the growing counterculture, Stinnett headed to Northern California and embraced the hippie lifestyle while living at a celebrated commune, the Morning Star Ranch; a year later, back in Memphis, he formed a psychedelic band called 1st Century, who lasted long enough to release one single for Capitol Records, "Looking Down" b/w "Dancing Girl." While 1st Century quickly dissolved, Stinnett struck up a friendship with legendary producer and instrumentalist Booker T. Jones, and as Stinnett began putting a greater focus on his songwriting, Jones encouraged him and gave him occasional gigs. By the dawn of the 1970s, Stinnett and his wife were living on a commune in California and searching for spiritual enlightenment. 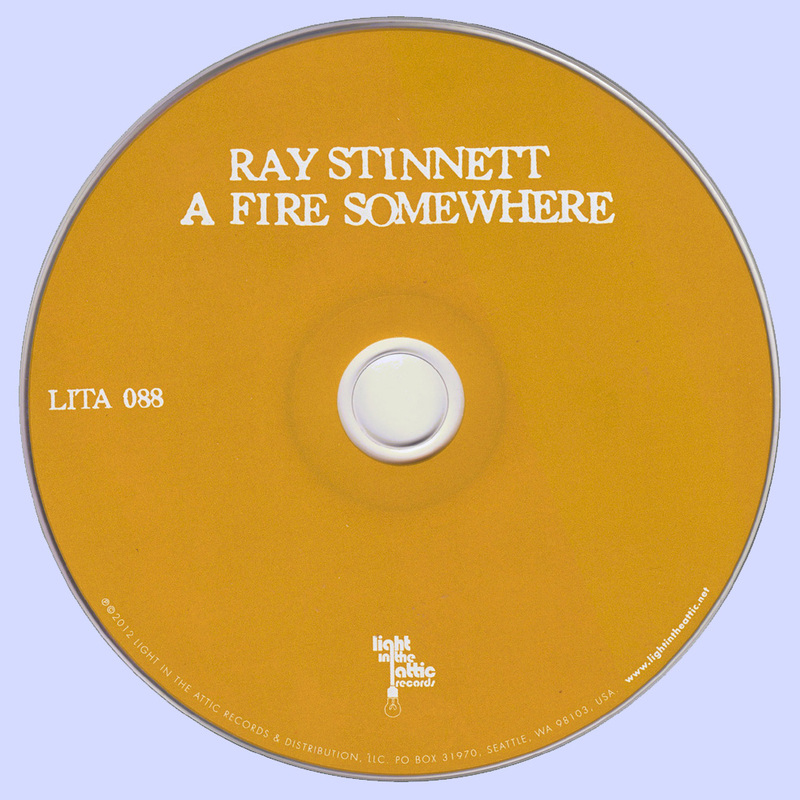 Stinnett's life path reflects the shifting cultural Zeitgeist of the 1960s with commendable accuracy, but thankfully he never stopped playing guitar like a Memphis boy who dug the blues, as evidenced by A Fire Somewhere, an album Stinnett recorded in 1971 that finally earned a long-overdue release in 2012. When Booker T. Jones produced an album for his then-wife Priscilla Coolidge-Jones, 1970's Gypsy Queen, Stinnett played guitar on the sessions and wrote two songs that appeared on the LP. Stinnett was a protégé of Booker T. Jones, and when Jones signed a deal with A&M Records, he persuaded them to sign Stinnett as well, and if what Stinnett was writing was a long way from classic Memphis R&B, Stinnett's sharp, emphatic guitar work and easygoing sense of timing suggest he learned more than a little from the cats at Stax Records, though his vocals weren't always on a par with his picking. 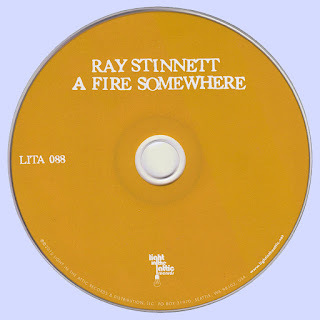 As a songwriter, Stinnett conjures up a fine, swampy fusion of soul, country, blues, and rock, with occasional side trips into psychedelia and gospel, and though it's true Stinnett's spiritual and philosophical conceits sometimes sound a bit clumsy after 40 years of gathering dust, Stinnett never sounds less than entirely sincere, and when he deals with the nuts and bolts of love and relationships, he strikes a bull's-eye. And Stinnett was blessed with a rhythm section as idiosyncratically gifted as he was in bassist Mike Plunk and drummer Jerry Patterson. Differences with A&M over marketing and management caused Stinnett to walk away from his record deal, and A Fire Somewhere got left by the wayside, buried in the label's vaults.